Scanned documents are feeding crooked (Primera Trio). > Knowledge base> Article: Scanned documents are feeding crooked (Primera Trio). 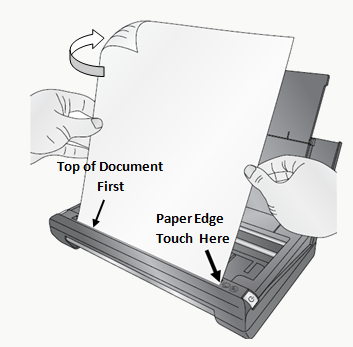 Make sure you are feeding the documents into the scanner so the right edge is just touching the right side of the scanner slot. Smaller documents and receipts are more susceptible to crooked feeding. It may be necessary to hold your finger against the left side of the receipt/document to ensure that it feeds straight through the scanner. Multiple sheets are feeding through the printer (Trio).